Founded in 1975, Harley-Davidson of Jamestown on 1951 East Main Street in Falconer, New York, has built its reputation on customer service. Selling new and used Harley-Davidson motor bikes and other licensed HD products like motor clothes and accessories is their expertise. HDJ has become a dealership well known for its friendly and welcoming atmosphere. 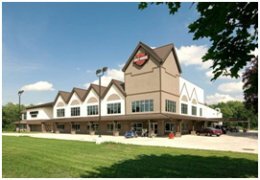 This 36,000 square foot, full-service and certified dealership will have just the bike you are looking for. Both new and pre-owned inventory are available. Bike lovers will enjoy browsing through the showrooms, taking test rides or simply looking through the many HD accessories. 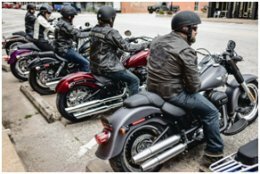 There is a certified Harley-Davidson Service Center on the grounds with licensed parts and accessories for your motor bike.